LESSONS ON MOVING FROM “YES, BUT” TO “YES, YES”! Home » Blog » LESSONS ON MOVING FROM “YES, BUT” TO “YES, YES”! I was in Santa Fe last week training and consulting, staying the weekend to take in the majesty of the area. While there, I also thought about my upcoming training on understanding how our thoughts become energy, which either bring things we want into fruition or not. What makes some people so good at this while others stay uncertain, struggling to get things moving in their life? Why do some people, when faced with options, stay stuck saying “Yes, but”, while others go straight to Yes? During my time in New Mexico, several illustrations of this principal became evident offering “lessons” on this topic. 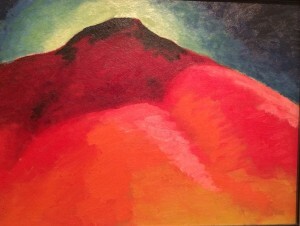 Being an avid art lover, I couldn’t wait to see Georgia O’Keeffe’s famous work. In her museum in Santa Fe, most of the paintings are of the spectacular scenery of the region. She said as soon as she saw the canyons she knew it was “…my county – it fitted me exactly”. She went on to make the area her home, producing some of her most profound and famous works of arts. 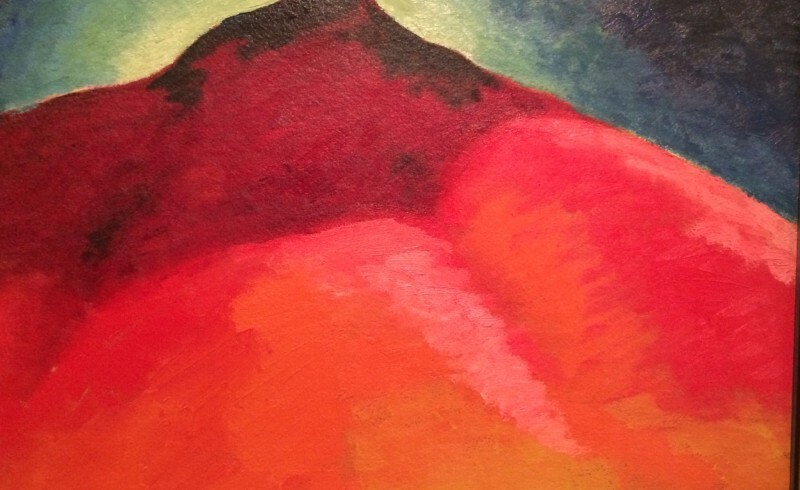 Much of Georgia O’Keefe’s fame rests on her clarity in creating a path for herself that suited her clear sense of self. She scoffed at painting like others, wanting to find her own style, stripping away the details to find the essence of what she was painting. In her words, “Someone else’s vision will never be as good as your own vision of yourself. Live and die with it ’cause in the end it’s all you have. Lose it and you lose yourself and everything else”. This captures her genius as one of the forerunners of modern art. She never deviated from it. How does one come to this clarity in defining their path in life? You build it around your internal truth. If there are “yes, buts” in your equation, you are compromising and not paying attention to what is really the essence of who you are and what you want. Think about it. Do you compromise in your choices with the assumption that you have to? That is a false belief. This idea was in evidence when I visited Taos Pueblo. Driving the high road through huge rock bluffs, hills covered in sage brush, up steep mountains with towering pines and down again, the landscape opened to a wide plateau with a lovely river moving through it. At 7,000 feet, additional snow tipped mountains towered another 7,000 feet in the distance. This is the site of the Taos Pueblo. The beauty of the place is breathtaking, quiet, serene and powerful in a mystical way. It is easy to understand why the Pueblo Indians choose this place as their home. It has all the necessary elements to sustain life – water, fertile land and protection. No confusion. We have so many choices in our modern life it is easy to get overwhelmed and confused about what is right. We lose touch with our inner voice and inner wisdom. How can we simplify and get to our essence as Georgia O’Keeffe did in her work and as the Pueblo Indians did in selecting their home? Pay attention to what you really need and let your intuition be your guide. Whether it is the place you live or the work you do, what sustains you and gives you life energy? That’s what is most important. Find the “Yes set” in those decisions and don’t compromise. Saying things like, “Yes, I need a better job, but I can’t change it”, or “I know I should move, but I can’t” are examples of “Yes but” compromises that makes you feel bad over time. When you find the definitive “yes”, you invariably feel good. One of the things I love about traveling is the chance meetings that occur that create wonderful new experiences. It means staying open to these serendipitous situations and going with them. No “yes. buts”. This trip was no exception. We made friends everywhere we went and had experiences we couldn’t anticipate. These chance meetings expand our life in new ways. When we assume that there is only one right way for things to unfold, we often miss opportunities that are right in front of us. Going with the flow means allowing, not resisting. We are riding the natural flow of energy downstream, rather than paddling upstream. When you are on the right path, things are easy and unfold naturally. When you are pushing and pulling to make things happen, ask yourself why? It may mean a change of direction is needed. In the training and consulting I did in Santa Fe, the local officials and social service agencies were looking for ways to divert people with mental illness from jail and prison. Many were unaware of the rich tapestry of excellent services already in place in Santa Fe. As awareness grew, so did the buzz of belief that more can be done. Why? Because as they aligned themselves to an outcome that they know is the “right thing to do”, they found evidence of it and wanted to create more. They are motivated to keep the forward moving momentum. They are in a flow. People like being part of something positive that gets results. It is a simple formula for success. The more you focus on the positive outcome you seek and find its evidence, the more it comes. The energy of change unfolds without resistance. What do you want to see unfold in your life? What “yes set” would you like to create and what compromised “yes, but” pattern needs to change? This is my workshop topic this week. If you are interested or want to know more, I’d love to hear from you here on fb or email me at cpmilligan@live.com. JOY – What Happens When You Seek It, Create It And Live It!